Here in the Northeast, most homes have a basement, however, not all are 'finished.' 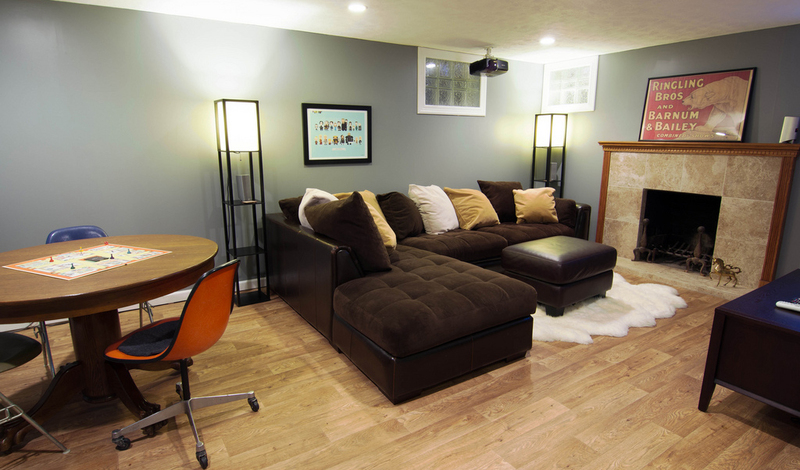 A finished basement allows for a new recreational space in your home or for a new entertainment room. Contact Great Outdoors Designs for a FREE estimate on a Long Islandâ€‹ custom finished basements. A basement is a different environment in a home as this involves structure elements such as moisture which can possibly lead to mold and high possibilities for leaks or flooding. Hence, homeowners always find reliable basement contractors with materials and system that would cover all those factors. A Long Island basement construction or renovation project is complex so people often seek services from the best Long Island basement installation or renovation company in their area. If you want a finished basement for your Long Island home, you should find a qualified Long Island contractor who would build you a safe and structurally sound finished basement, something visually stunning yet durable to last for many years to come. Professional basement contractors offer expertise basement framing, custom design and finishing services of high with quality and constructed in a timely manner. Today's Long Island finished basements are extremely functional and recreational. The latest architectural details and basement design options can only be found here at Great Outdoors Designs, within our Custom Finished Basements Department. Finished Basement options are truly customizable at this point and almost anything you can dream up or wish for is doable. So Call the finished basement experts today at Great Outdoors Designs of Massapequa to discuss the endless possibilities of your new custom finished basement project!